So far in the 2018/2019 season, Milton did not compete in any fixtures. Standing 1.91 meter high, Milton is larger, when looking at the average height in his team. In terms of preferred feet, he is a right footer, like 82% of Vitoria Setubal. Born on May 11, 1991, his age of 27 exceeds his team's mean. 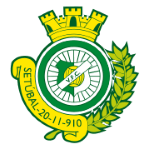 At present, Vitoria Setubal is in third place in League Cup (Portugal) (group Gr. B), while in Primeira Liga (Portugal) they are in 13th place. Milton is a male goalkeeper from Brazil, who has been playing for Vitoria Setubal in Portugal since July 1, 2018. His shortest spell with a club was seven months in Boavista SC RJ (Brazil). Throughout his time as professional football player, he was sanctioned with a card only once resulting in a mean value of 0.5 cards per play time. This season he was given but one penalty. Milton played four matches in total and hindermost appeared 2044 days ago. He weighs 80kg which is 6kg more than his team's average heftiness. Besides Milton, there are three more goalkeepers in Vitoria Setubal's lot: Cristiano Figueiredo, Giorgi Makaridze and Joao Valido. 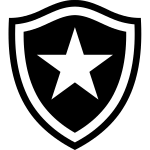 His record stay with a club is Botafogo RJ (Brazil) with nine years and 6 months. He played for Boavista SC RJ, Macae Esporte RJ, Botafogo RJ and Associacao Portuguesa de Desportos SP before ending up in Vitoria Setubal. Milton's jersey displays the number 28. Concerning the latest matches, his club tied in League Cup plus tied in Primeira Liga.